Kennedy Baptist College is an outstanding coeducational independent Christian school that caters to students in Years 7 to 12, located in Perth's southern suburb of Murdoch. 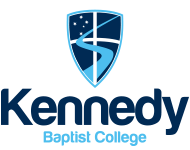 The College's mission is to provide educational opportunities of excellence in a Christian context and addressing the needs of individuals for lifelong learning. Every staff member at Kennedy is expected to strive for personal excellence in all that they do. Kennedy’s staff work in a supportive and caring environment where great importance is placed on staff well-being and professional learning and development. The College is seeking expressions of interest from suitably experienced & qualified individuals for the following long service leave replacements to commence Term 3, 22 July 2019. This is full time leave replacement position for Term 3. Desirable: Experience teaching Media and Photography. Applications close at 4.00pm, Friday 26 April 2019.